MacElree Harvey is proud to announce that Tim Rayne was named a 2016 Top Personal Injury Lawyer by Main Line Today Magazine. The August Issue recognizes Top Lawyers in over a dozen different legal specialties. 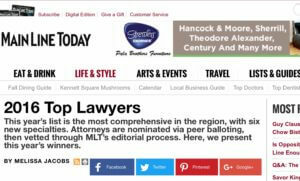 Lawyers are chosen for inclusion in the Top Lawyers after Peer Nominations and vetting through Main Line Today’s editorial process. Tim Rayne has been named a Main Line Today Top Lawyer in Personal Injury each year since 2009. 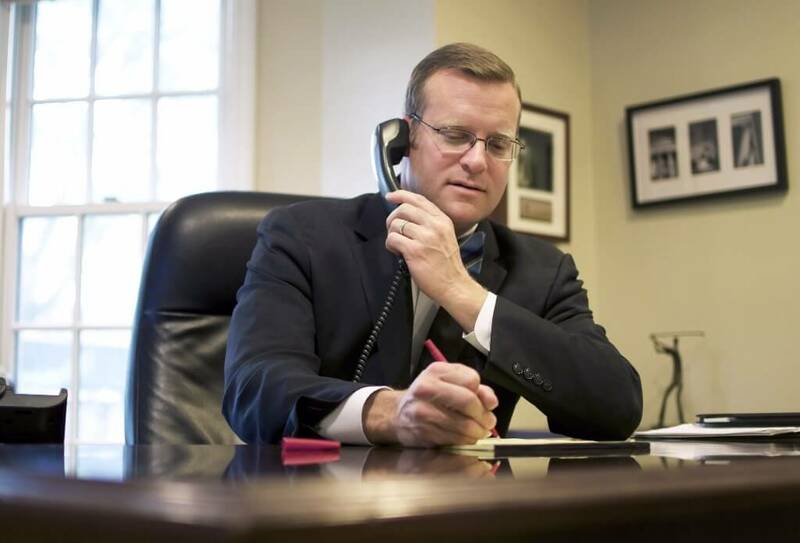 Tim focuses his law practice in Personal Injury Law, helping injured victims of accidents in Pennsylvania receive fair compensation from Insurance companies. Tim is Board Certified in Civil Trial Advocacy and has extensive experience settling and trying Pennsylvania Personal Injury cases. Tim helps victims of car accidents, motorcycle accidents, bicycle accidents, pedestrian injuries, slip and falls and medical malpractice. Contact Tim at 610 840 0124 or [email protected] for a Free Consultation concerning your Pennsylvania Personal Injury Case. Why Does it Matter if a Personal Injury Lawer is Board Certified in Civil Trial Law?